What a unique sign. 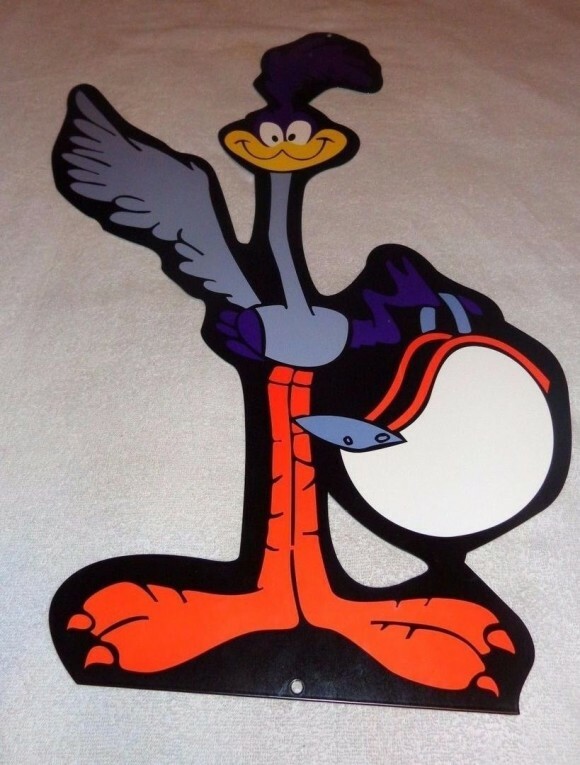 This road runner sign is 29″ by 18″ and is orange, light blue, dark blue, and yellow. There is no text on this well-illustrated sign.